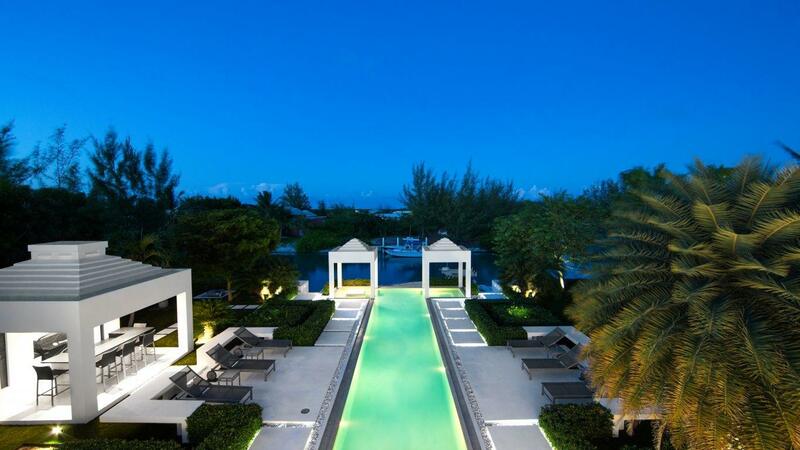 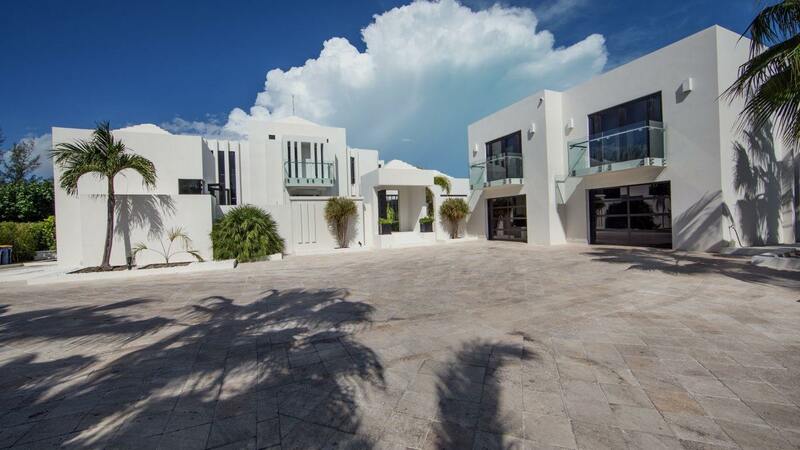 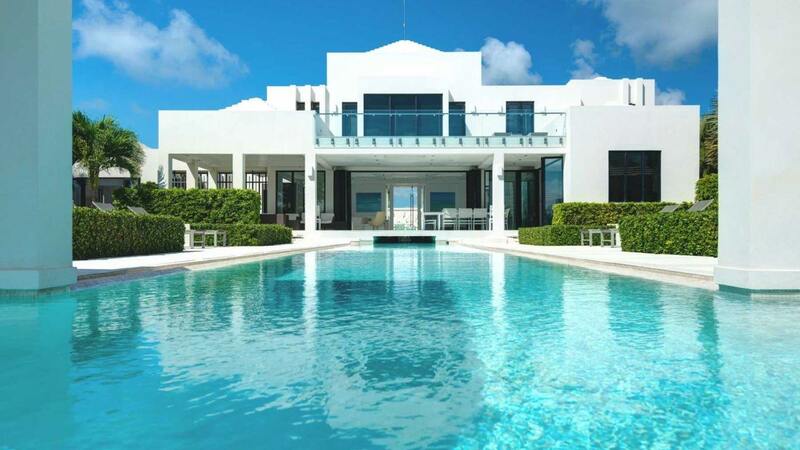 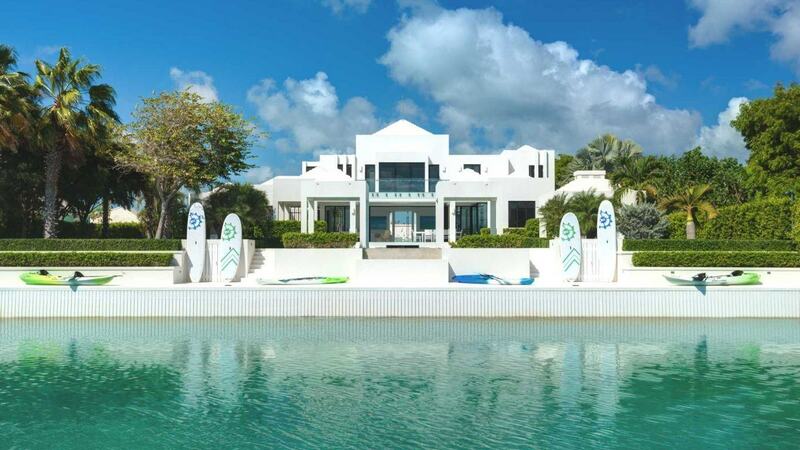 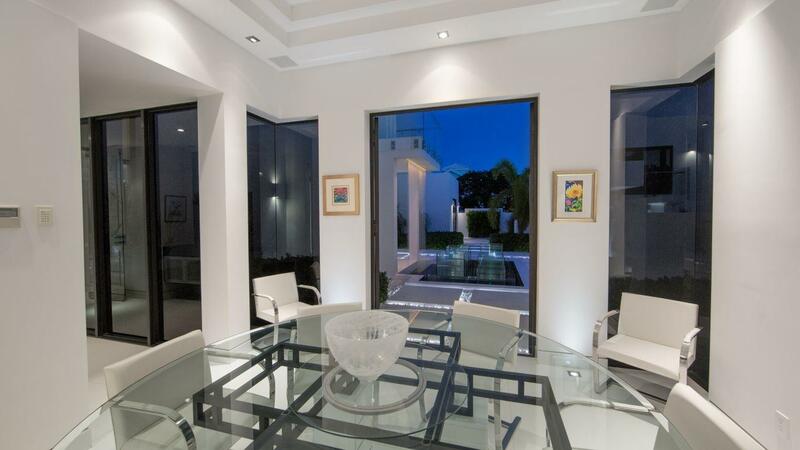 Villa Christy is a magnificent luxury Caribbean property in the exclusive neighborhood of Leeward in Providenciales, Turks and Caicos Islands. 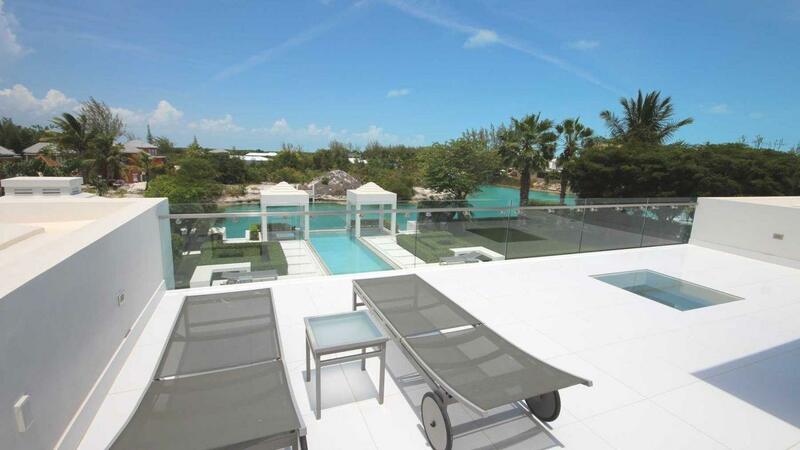 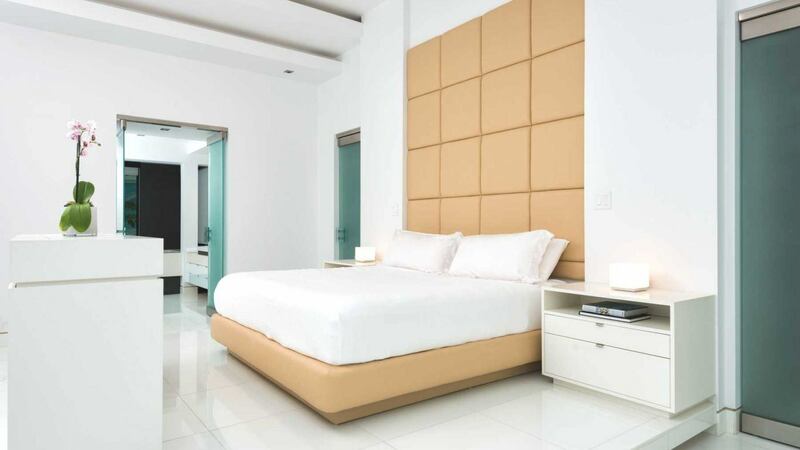 It is a perfectly situated 10-minute walk to the fabulous Grace Bay Beach or Blue Haven Marina. 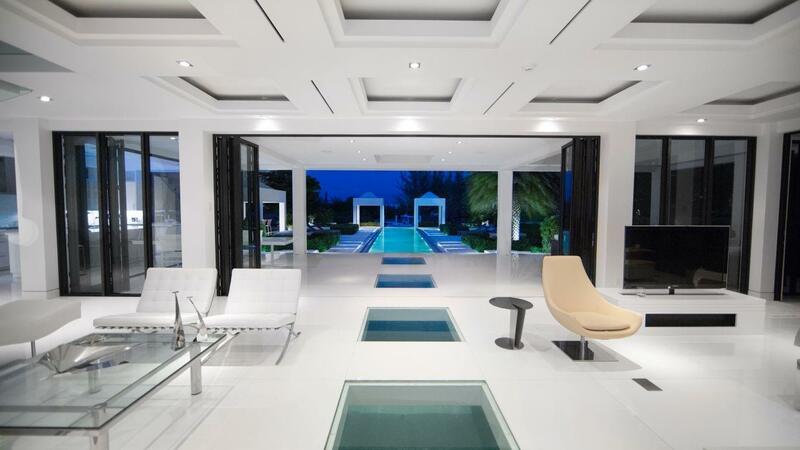 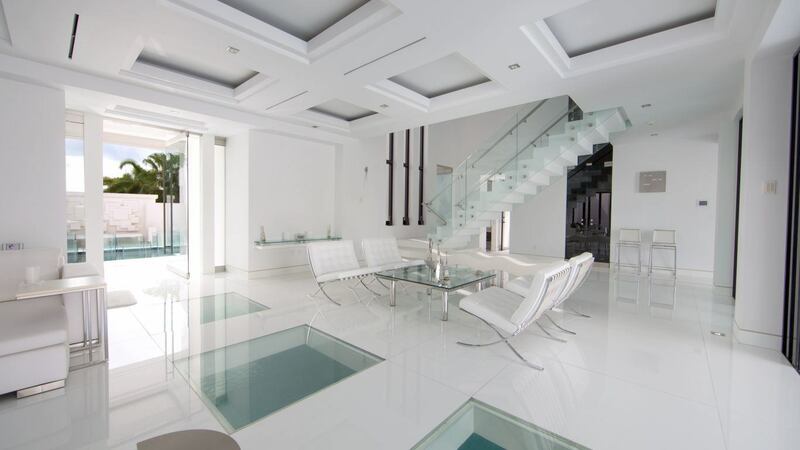 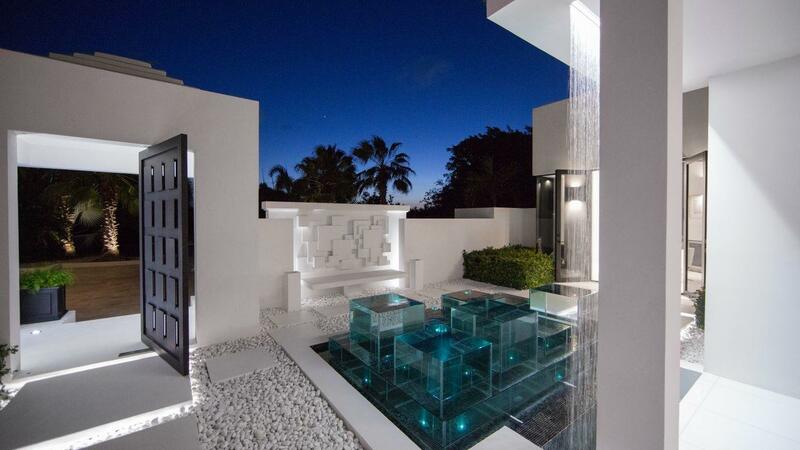 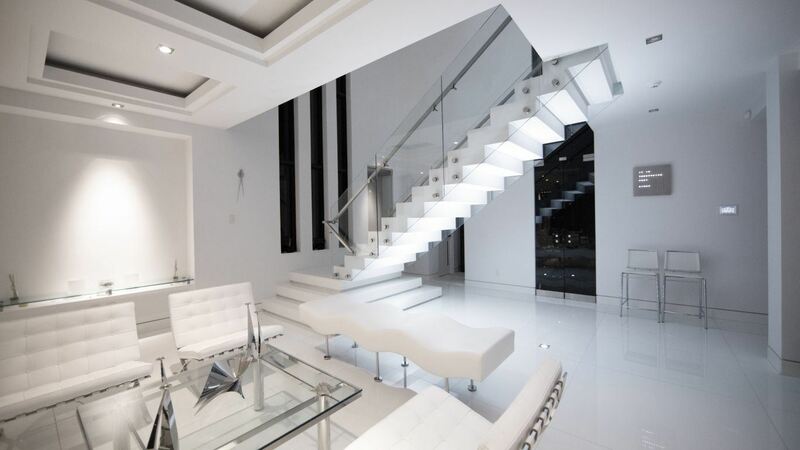 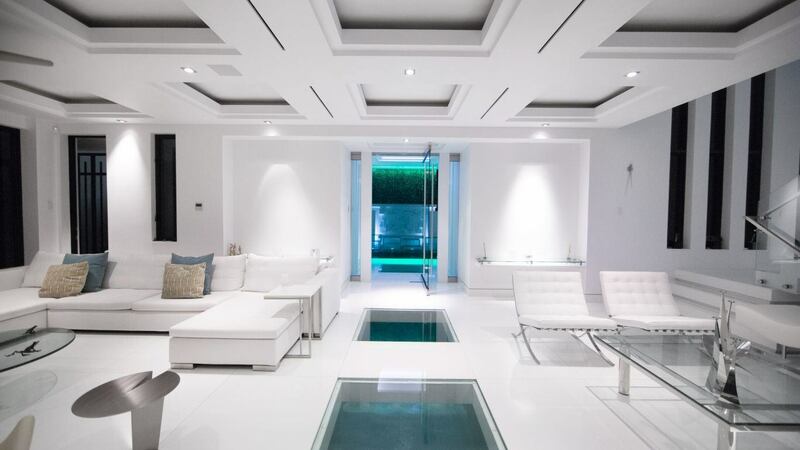 The house features a modern contemporary decoration and an imaginative swimming pool that extends to the living room floor. 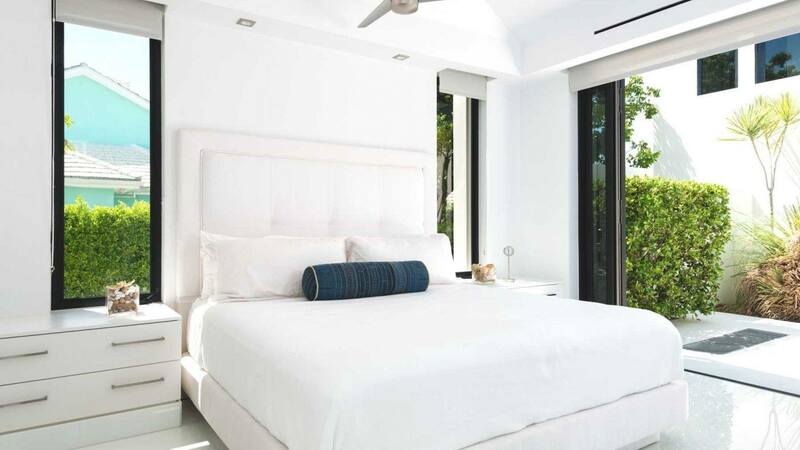 It also has 5 spacious bedrooms and 4 en-suite bathrooms. 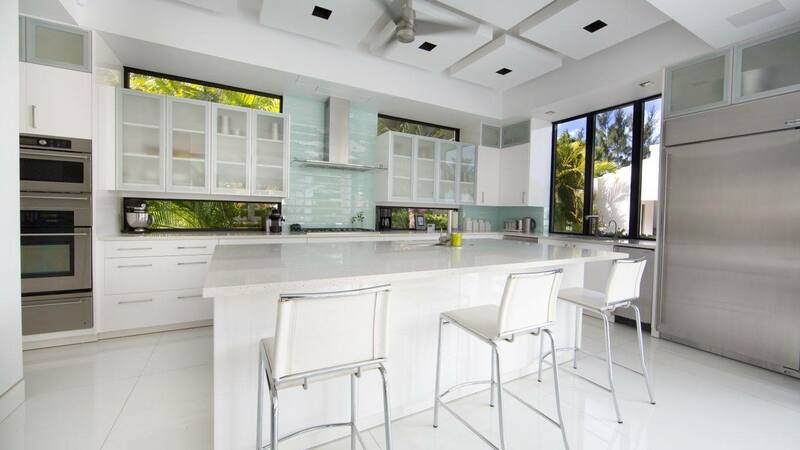 The kitchen is modern with white furnishing to complement the beautiful turquoise sea and the lush green of the Turks and Caicos Islands. 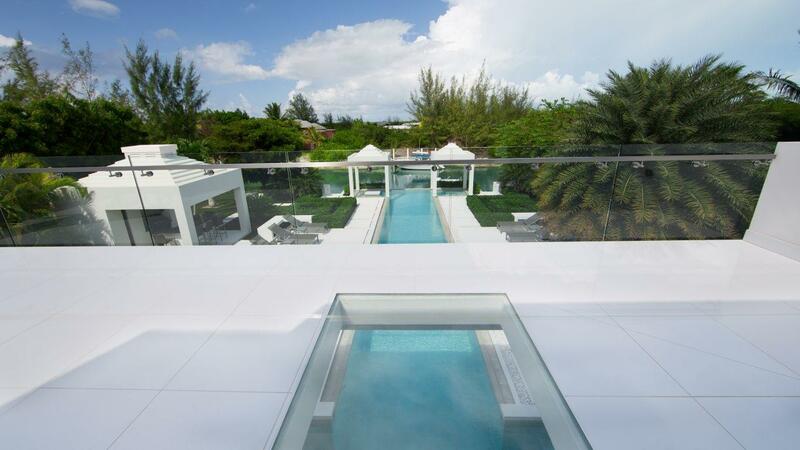 The well designed freshwater swimming pool is a one of a kind creation by the highly-renowned architect, Ron Shaw. 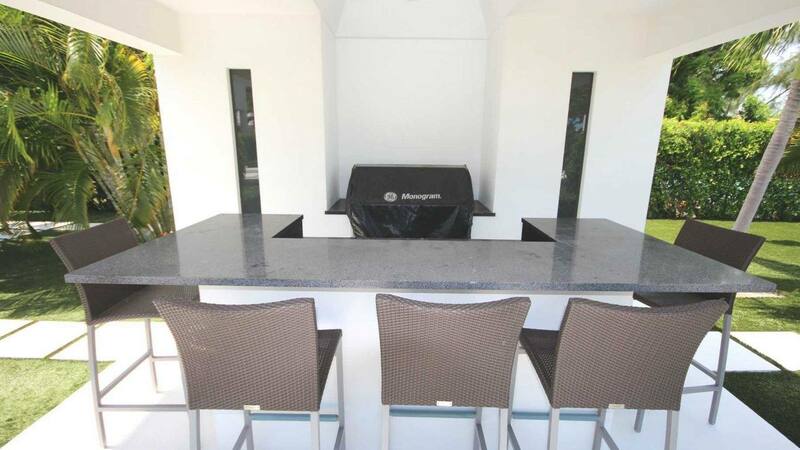 It provides outdoor living space perfect for relaxing in the Carribean sun or alfresco dining under a shaded modern canopy. 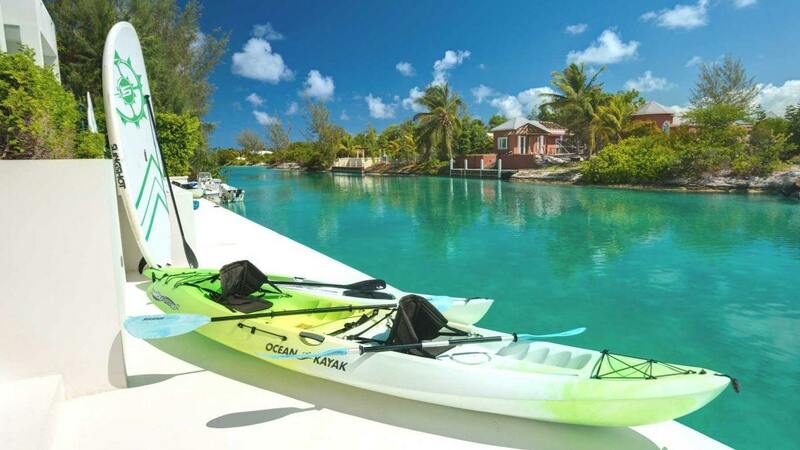 Kayaks and paddle boards are available to use and follow the peaceful canal to nearby Blue Haven Marina or the crystal clear, the turquoise sea that surrounds the Turks and Caicos Islands.